I’ve been letting little snippets and hints out all summer about a blog makeover in the works and a few weeks ago you might remember me mentioning my blog designer and I were working on creating a cohesive palette for VMMV’s facelift. But perhaps I haven’t quite made clear just really how extensive this project is and just how completely EXCITED I am for the launch to be officially a week away!!! Nothing is going to change about how you access the blog, if you’re used to finding it a certain way, keep doin’ it! Everything will be rerouted to VMMV’s new home and I hope all of my darling readers will enjoy the new place as much as I will. I was only blogging for about 8 months when i contacted my blog designer. That’s pretty early in blog world to be jumping to the next level but my visions for what VMMV could be had already outgrown my own personal abilities so I needed to call in the troops or risk frustration and burnout by doing it all myself. And how thankful I am that I did call in at least one troop: Jordan Brantley, the brainchild of Create Like Crazy, my brilliant blog-designer, and such a fun partner to work with. How I stumbled across her I still can’t remember, but I have a feeling we were linked up for a reason especially considering after a little investigative work on my side (I was creepin’ on you Jordan!) I discovered we had the very same theory about where all our creativity comes from and what we should be using it for. She’s a kindred spirit that one. She and I worked to create this moodboard as a way to get me to focus my ideas for the blog and make sure both of us were on the same page for my vision of what I wanted VMMV to be. Jordan had me find images and take pictures that represented what my visions are of the VMMV brand and put them into a few categories (style, design, color, texture, layout, vibe etc.). It was such a fun and slightly challenging project to pair concrete images to foggy design ideas! I sent her my photos and she hand-picked through them to create a finished moodboard with cohesion and direction. When we first began brainstorming, I told her I didn’t want the vintage to feel like an antique store, more like an eclectic boutique. I still wanted a fresh, modern feel because that’s what VMMV is all about, integrating vintage inspirations into the modern world. She hit the balance just right…wait and see! The new blog will be so much easier for all of you to navigate, and will also be completely customized thanks very much to Jordan’s talents. Like I said, the launch is officially set for August 8th so stay tuned! 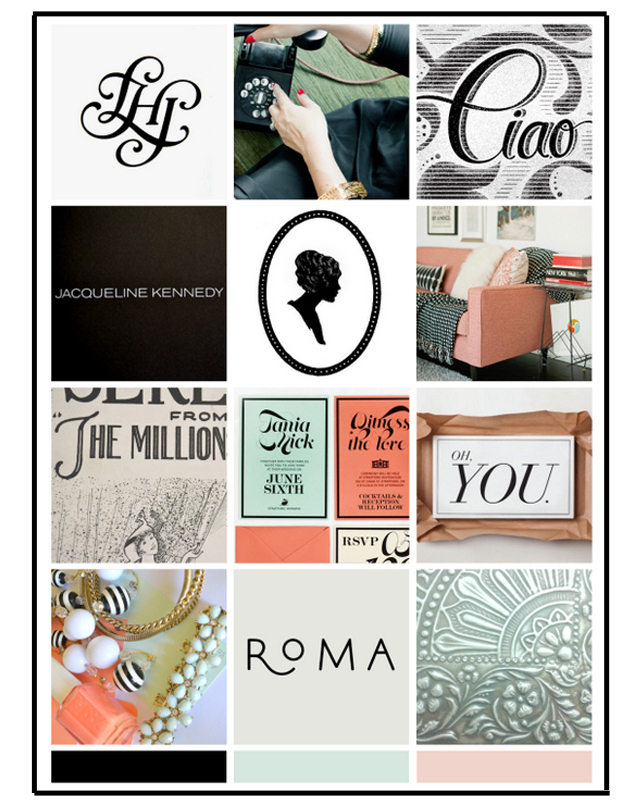 This moodboard is only a tiny peek into a beautiful new space.